Smart homes have been rising in popularity, and it is no big secret why. 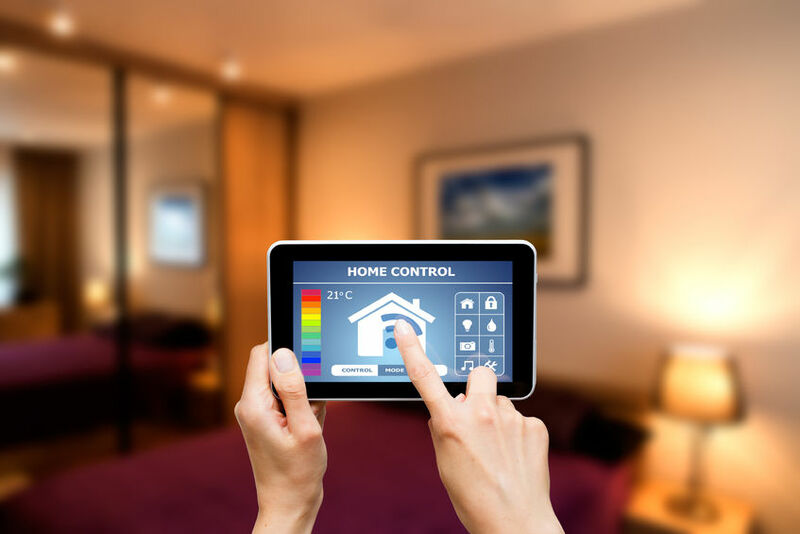 The ability to automate many of your home’s basic functions is incredibly convenient – and it can also help to protect your home when utilized correctly. But what is the difference in home security vs smart home security? Today we will discuss what each is, as well as which you should choose based on your primary considerations and unique situations. For the purposes of this article, home security refers to traditional alarm systems. Their purpose is to keep your home safe by deterring intruders from entering. In the unfortunate event that a person did smash a window or kick in the door, a very loud alarm goes off which should frighten them away before they cause further damage or steal any of your belongings. Most modern alarm systems are monitored. This means that when the alarm goes off, a person working for the security system company will immediately notify the local authorities. The police will then arrive at your residence. The primary contact for the alarm system will also be contacted, which is you or your spouse. Smart home security refers to the installation of a smart home system which is wirelessly controlled via an electronic device. The device could be your smartphone, tablet, or computer, in addition to a wall panel (usually). Smart home systems allow you to control many home functions, both while you are within the residence and while you are outside the home. This includes the thermostat, lights, blinds, fans, small appliances, and garage doors. Depending on the system your home’s personal specs, it may be more or less than this. In terms of security, smart homes often come equipped with smart locks. This means that your home can be accessed via a special code, fingerprints, facial recognition, or voice recognition. It is some space-age technology that can keep your home safe – and offer convenience should you lock your keys inside or forget them at work. Smart home systems often come with security cameras also, which can be operated via the device mentioned above. Both traditional and smart home security options can vary widely, so there is a high chance you can find either option to fit your budget. The cost of these, therefore, is not really a prime consideration. A better way to incorporate the cost into your budget is to choose which you prefer and research a system which falls into that category – not the opposite way around. If home automation and convenience are your primary objectives, you should choose smart home security. If these things do not matter and you would prefer to only keep your home safe, then a home security system is your best choice.